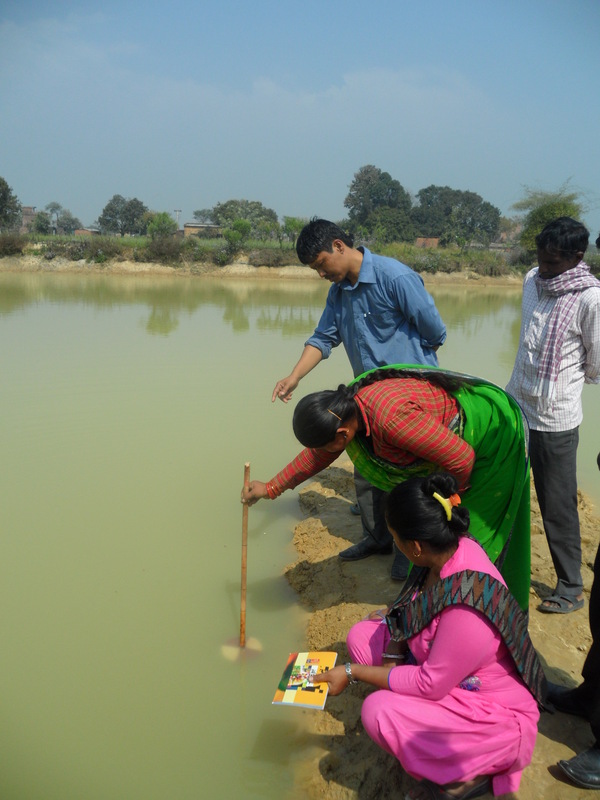 Fish farming, beyond other agriculture activities, is practiced by youth as a main source of income in Nepal. 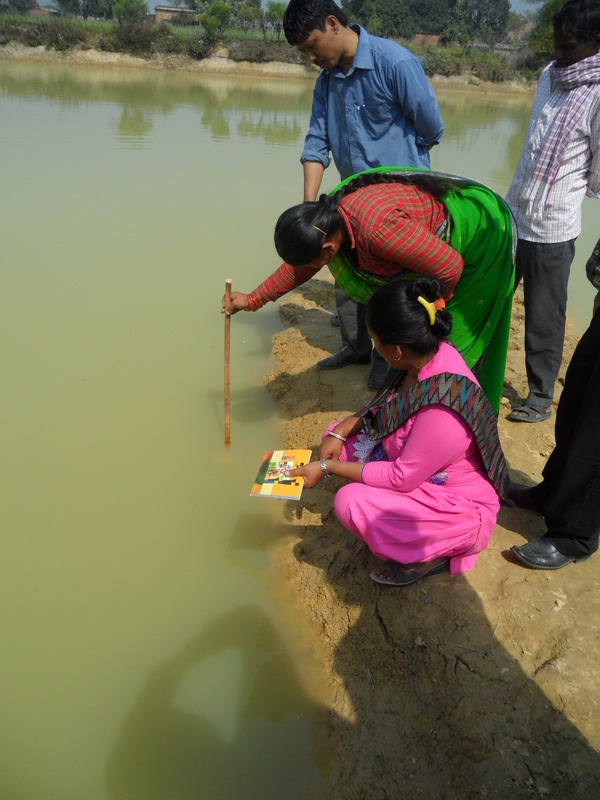 Gaining skills on improved management practices like water quality management and learning to adjust inputs based on pond fertilization results, can lead to decreases in fish mortality rates, and thus diminish economic losses for youth-led businesses. F2F volunteer, Dr. Hugh Thomforde earned his PhD in Fisheries Management from Auburn University and was an Aquaculture Extension Specialist for 17 years at the University of Arkansas. 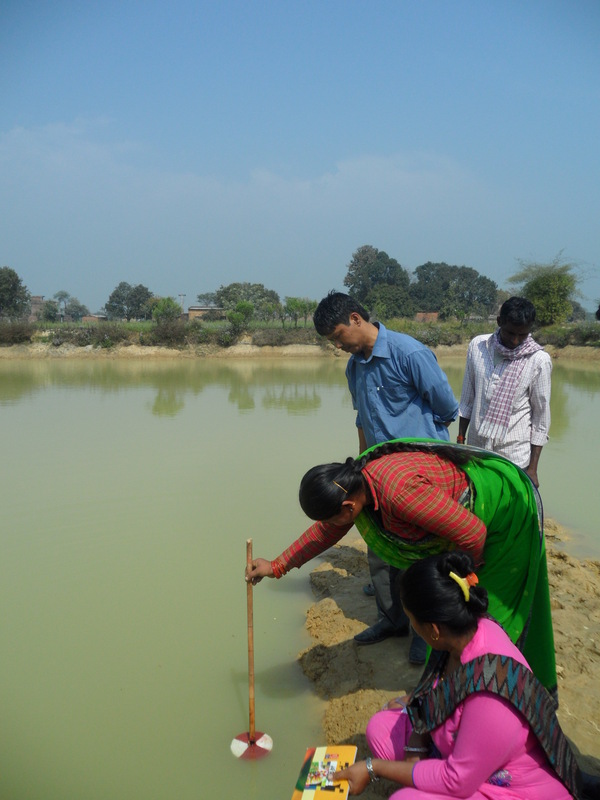 He recently returned from a rewarding assignment in Nepal where he worked with youth from the Sahodar Agriculture Cooperative to improve their fish pond management skills. March 21, 2017 marks National Agriculture Day, a day to celebrate the abundance provided by American agriculture. U.S. farmers grow the food that feeds us daily. 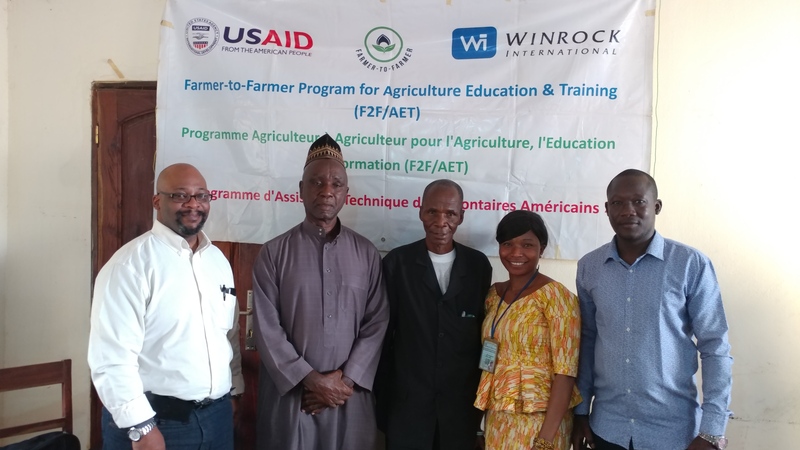 Under the USAID-funded Farmer-to-Farmer program, U.S. farmers have also been generously volunteering their time and sharing their agricultural expertise with farmers around the globe. 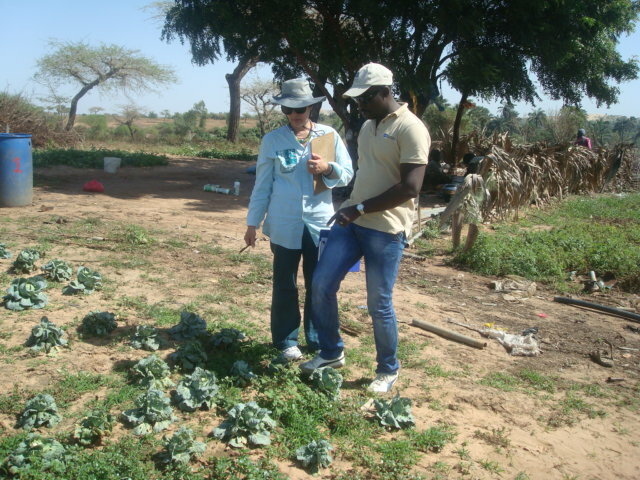 Our volunteers also come from agricultural programs in universities around the U.S. Their experiences in the forefront of U.S. agricultural innovation and research are helping farmers, extension agents, and university professors in developing countries increase food supply, fight hunger, and provide valuable skills to the next generation of farmers. Today on National Agriculture Day, we thank our volunteers for their contribution to American agriculture and to farming communities around the world! 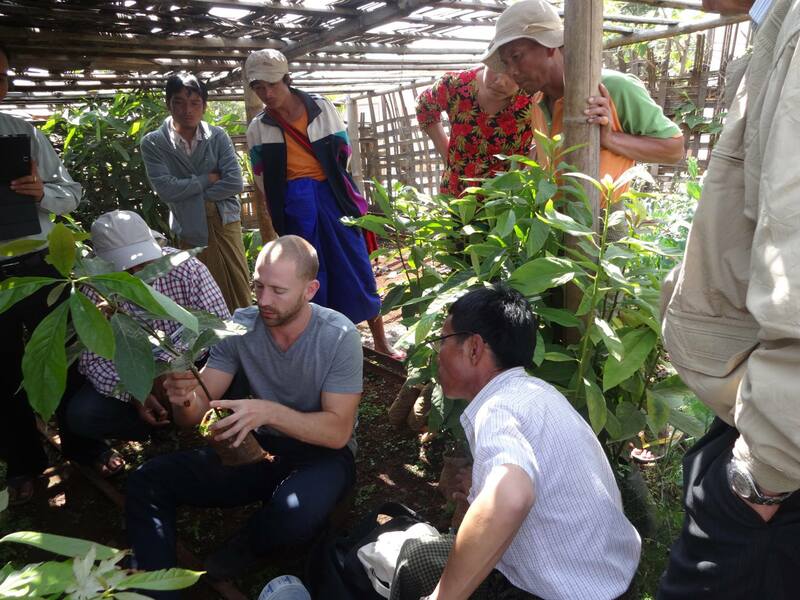 Volunteers provide hands-on agricultural training and demonstrations that benefit farmers directly. When I initially read the notice about Winrock International needing a volunteer to teach pesticide safety and IPM; I got excited immediately. I teach people who want to become urban pest management professionals as well as continuing education credits (CEUs) for existing applicators in multiple states. In addition, I also give community talks about insect biology, IPM for consumers and environmental awareness. Of all that I do, my greatest joy comes from consulting with industry colleagues in agriculture and urban pest management. Upon arrival, the night of January 29, my driver greeted me as though I was an old friend, even though it was my very first time to Guinea and my first time ever seeing him. Alpha took my bags and drove me to my hotel and made sure I was settled in my room before leaving me to get some rest. But how could I rest when my mind was in overdrive at the fact that I was actually in Guinea (Africa)? How could I rest with knowing that tomorrow would bring new acquaintances, new sights, sounds and new flavors? It was difficult but I finally drifted off. In the morning, the Country Director of Winrock International (Guinea), Ibrahima Diallo (Ibro), walked in to greet me and collect me. 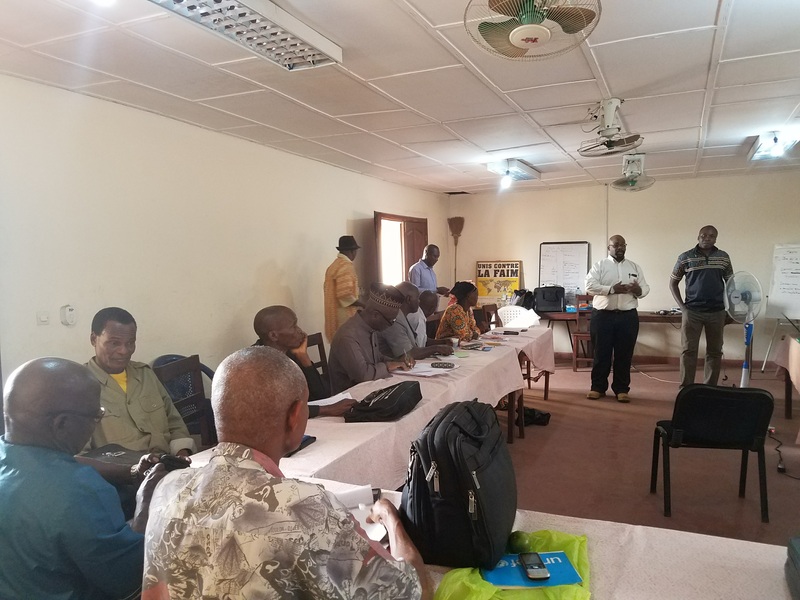 We talked and become familiar as we drove through the congested streets of Conakry towards the office of the Minister of National Plant Protection, which was the first stop of the morning. Ibro made the necessary introductions and the Minister and his staff shook my hand and welcomed me into the country saying, “You are home, be comfortable.” “WOW,” is all that I could think as we departed the building. The next morning, we traveled to Kindia. As we drove the sites of the city fascinated me. The vibrant colors of the clothing, the barrage of yellow Renault Taxi cars and the swarm of motor taxi bikes was greedily taken in by my eyes. The longer we drove the more calming became. I was mesmerized at the mountains on the horizon but had no clue that would be our final destination. After a steep climb in our vehicle, we arrived to the small town of Kindia after driving through two three other small towns. My first sights including free roaming goats, chickens and few domestic animals like dogs and cats. The second thing I noticed were the fields of crops as well as banana and mango trees. As we drove deeper into Kindia the road side fruit and vegetable stands excited me. Seeing the vibrant colors of the corn, peppers and mangos were an absolute treat. On the first day of training, I was nervous as a schoolboy on the first day at a new school. As the participants filed into the classroom, I became very intimidated because this was not a group of young inexperienced growers. Many were my elders and I knew from coarse handshakes that they had worked agriculture longer than I had been alive. A fear of inadequacy took over me, “What could I really teach these specialists?” My thinking was that I should be the one sitting with paper, pen and focused on every word they could offer me to help me become more efficient. 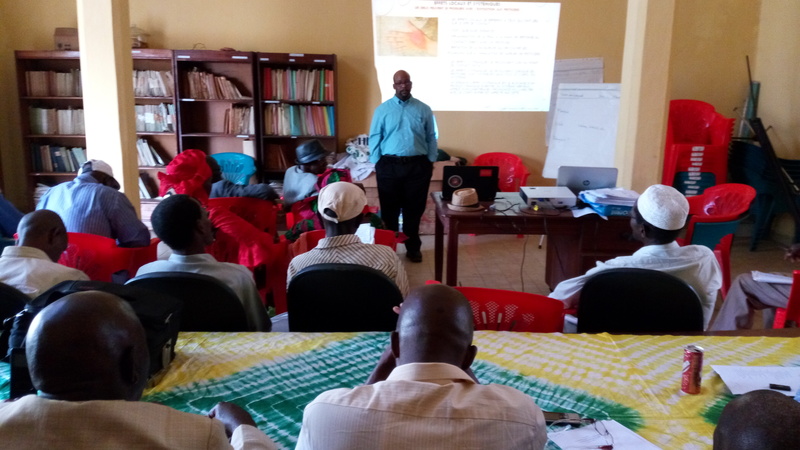 As I began to share my knowledge, I transitioned my presentation from teaching inexperienced farmers to helping fellow colleagues with techniques to share with clients. Marines have this saying, “We adapt and overcome any obstacle and situation.” As they days passed, the participants and I dialogued and shared our experiences to gain a greater understanding. What we all discovered together is that people who are passionate about agriculture, no matter what region of the world we are from, have the same heart. We also share the same struggles and strive for the same goals. 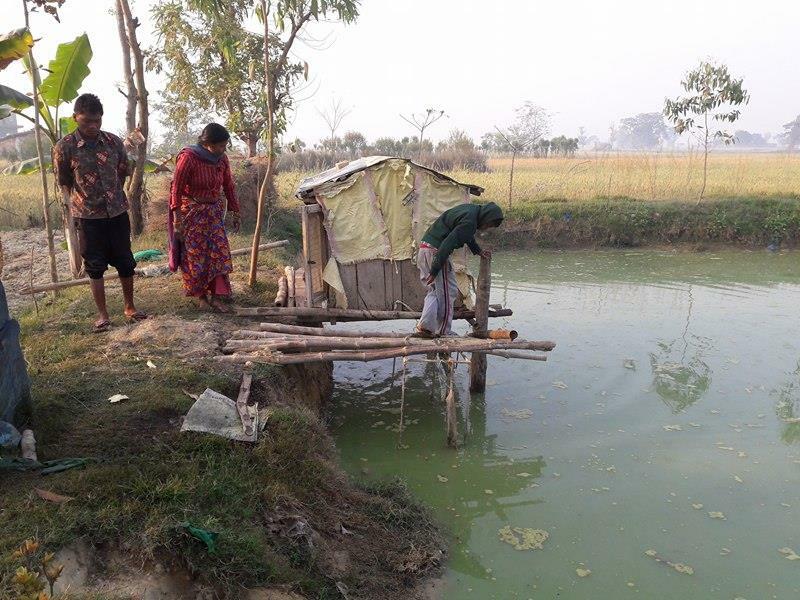 Even as agricultural extension agents we all face the same hurdles when it comes to educating clients, communities and government officials in the ways of pesticide safety concerning human health and maintaining a sustainable environment. We all agreed that we could only change the world one person at a time. I shared with them a saying my deceased father shared with me, “Don’t let what you cannot do, hinder what you can do.” And with that thought resonating in their minds, we forged through to our first exercise and class assignment. The night before the last day of our sessions was a bit somber for me. In just eight days I had become extremely attached to my new friends and colleagues. I missed my family greatly but I equally knew that I would miss this group of professionals. On the last day, we all had smiles of accomplishment but there was an underlying sorrow that made its way to the surface at the end of the certificate ceremony. Holding back my own tears as others could not, I solemnly promised that I would return as soon as possible. The next morning as we drove away to descend down the mountain, I sat quietly reflecting on this once in a lifetime experience. I hope that what I have shared benefits not only the attending participants but the next generation as well.I humbly thank Winrock International, USAID, and Farmer-to-Farmer for allowing me this opportunity. I thank the extension agents, government and university officials for trusting me to share my knowledge and experience. But most of all I thank the people of Guinea, Kindia especially, for accepting me into their community and sharing their culture so freely. 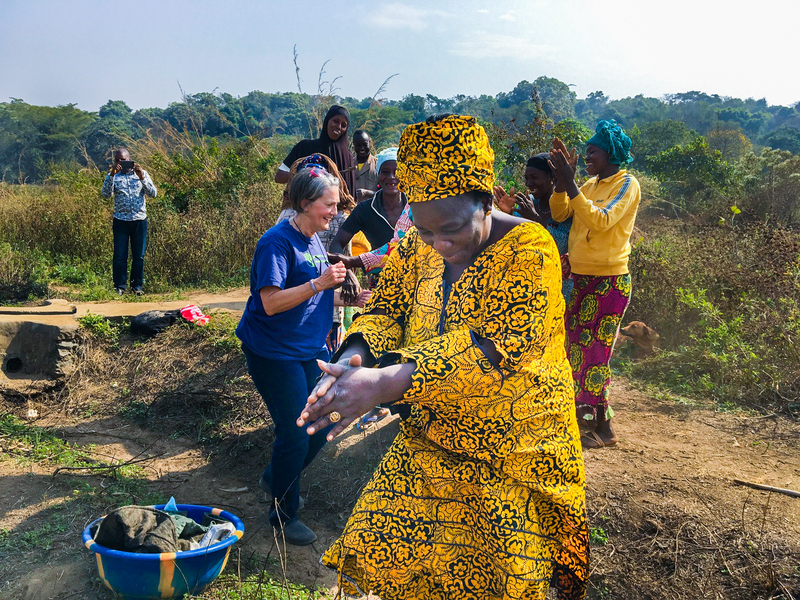 Dr. Billye Foster, Professor of Agriculture at Tennessee Tech University recently returned from her first Farmer-to-Farmer volunteer trip with Winrock in Guinea. She worked with faculty and staff to improve administration of agriculture schools. During her trip, Dr. Foster kept a journal. Today’s blog is an excerpt from a day in Tolo. After spending Saturday in Dalaba, we started back to Mamou by way of Tolo. 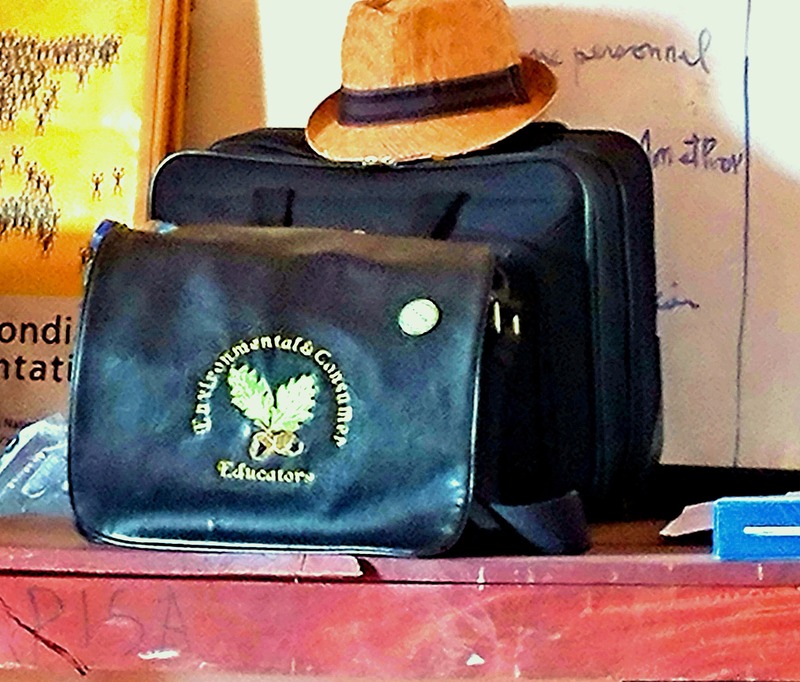 Our primary goal was to visit the school in Tolo, which the Belgians began in 1932. The school houses 105 students, all who work on the farm or at the school as well as attend class. We stopped at the home of one of the two women in our workshop and both she and the Director were there with our lunch prepared. It is so strange because most of the food is made of things I’ve never heard of, yet there are pieces of things I grew up with. Today, instead of rice, we had fonio (looks like mini rice and tastes like grits) and something called Cassava Tot—it had the consistency of really sticky cream of wheat but was made from Cassava flour and fonio and water. Of course this was all to be covered with the Sauce. Today’s sauce was creamy in appearance but was made of okra, peanuts, dried fish and spice! I wouldn’t have even known there was fish in it if they hadn’t told me. But you have to understand they literally beat the life out of the ingredients with wooden sticks and bowls. Then they cook it, then they beat it all again. There was no dairy of any kind in the sauce, but all that beating made it creamy. This was all prepared by hand and cooked over a fire. The men in the group praised it highly (as they should have) and noted girls in the cities just didn’t know how to cook good food like this. We had papaya for dessert and then took the farm tour. This place is so remote you wonder how even 100 students found it, and although most of the buildings are in need of repair, they have a viable poultry system going. The students do almost all the labor and I have some great shots of the brooder house and the laying barn. But the next item on the agenda gave new insight to my perspective. The woman who hosted our lunch works in the school’s administration, but also farms as most of the women here do. She has formed a group of women farmers and I was taken to their cooperative field and met by them straight from the field. They came to me singing and clapping and were so happy to see me! And I realized they were the same women I had seen cooking our lunch over open flame in the home’s yard. I got out of the jeep and met them clapping to their music. When they were close they surrounded me and started dancing, so naturally I joined in—we became fast friends and I agreed to serve as a long-distant advocate and advisor. It was a very humbling experience. When you watch how hard these women work it is mind-boggling. Most are much younger than they look, and it is not uncommon to see them in the field or wherever—working hard with a baby strapped to their back. And sometimes these children are up to 2 or 3 years old. It is like a perpetual take your child to work program. They cultivate and plant by hand and clear with machetes like men. They sweep their floors with hand brooms made of thick, long grass of some type. I asked why their brooms don’t have handles and they looked at me like I was crazy. I do not know how they do it all. 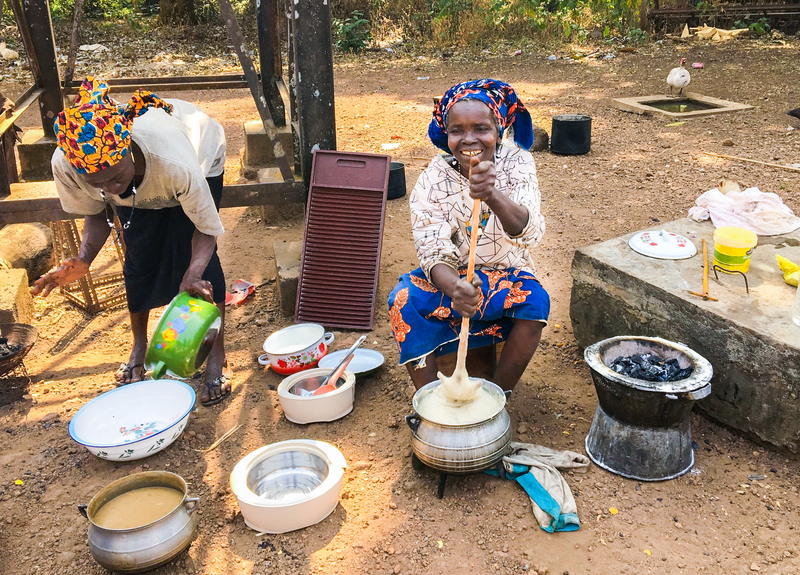 The house work, including laundry by hand, the cooking—which is an all-day event, not to mention farming and childcare are heavy labor in this world.